Just saying ~ Bath and Body Works Fall Scents are AMAZING! As fall is settling in the air here in Missouri, I started "switching" up the house today. It was time to put away the summer things, you know decor such as pillows, blankets, wreaths, etc. even the candles and wallflowers. As I unpacked my fall things I was so excited to find my Bath and Body stash from last year ~ candles and wallflowers! I am in love with their scents and just can't get enough. I was even more thrilled to find that Bath and Body Works brought back my ALL TIME favorite scents from last fall, this year (even though I already have enough). I stocked up last year just in case they didn't bring it back this year, but they did. =) I never really review things but I want to pass along the love here! There is nothing I hate more than buying an expensive candle and getting it home to realize it don't like it ~ the good thing about BB candles though, you can return even if you've burned it, BOUNS!!! 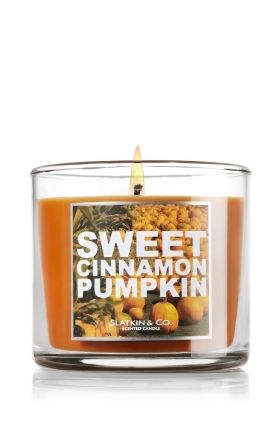 If you only buy 1 candle this fall make it a Slatkin & Co. Candle from Bath and Body and you won't be disappointed! My 3 favorites are Sweet Cinnamon Pumpkin, Autumn and Leaves. 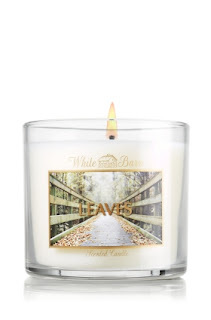 I have these scents in candles and wallflowers! Run to the store and pick some up! 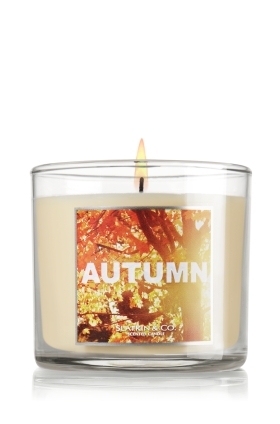 Get festive this fall with our heartwarming fragrance that unites the beloved, autumnal scents of dark pomegranate, sweet red apple and woodsy fir balsam. A harvest fave returns for fall! Our delicious, one-of-a-kind recipe combines sweet pumpkin pie, rich vanilla cream and a touch of cinnamon. Like an afternoon spent jumping in a pile of freshly fallen leaves, this fragrance embodies all the richness of the season and features a medley of ripe delicious apples, red berries and golden nectar.